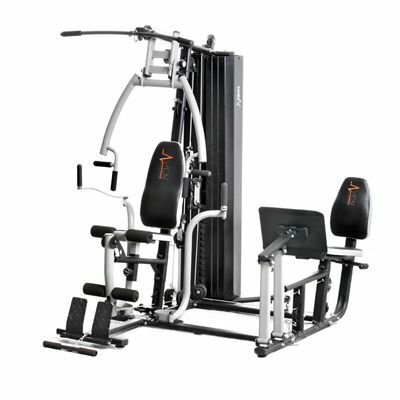 The DKN Studio 9000 multi gym with leg press is designed to provide a comprehensive home workout which enables you to develop all areas of your body. Thanks to the adjustable frame and upholstery the user can train with safety, comfort and precision and perform a wide range of exercises such as a chest press, a shoulder press, a low pulley row, bicep curls, pulldowns, leg extensions or inner / outer leg kicks. In addition, the included leg press, with a double pulley system, is perfect for overall leg development and particularly to help you build the quadriceps, it also encourages proper leg and back positioning. for submitting product information about DKN Studio 9000 Multi Gym with Leg Press We aim to answer all questions within 2-3 days. 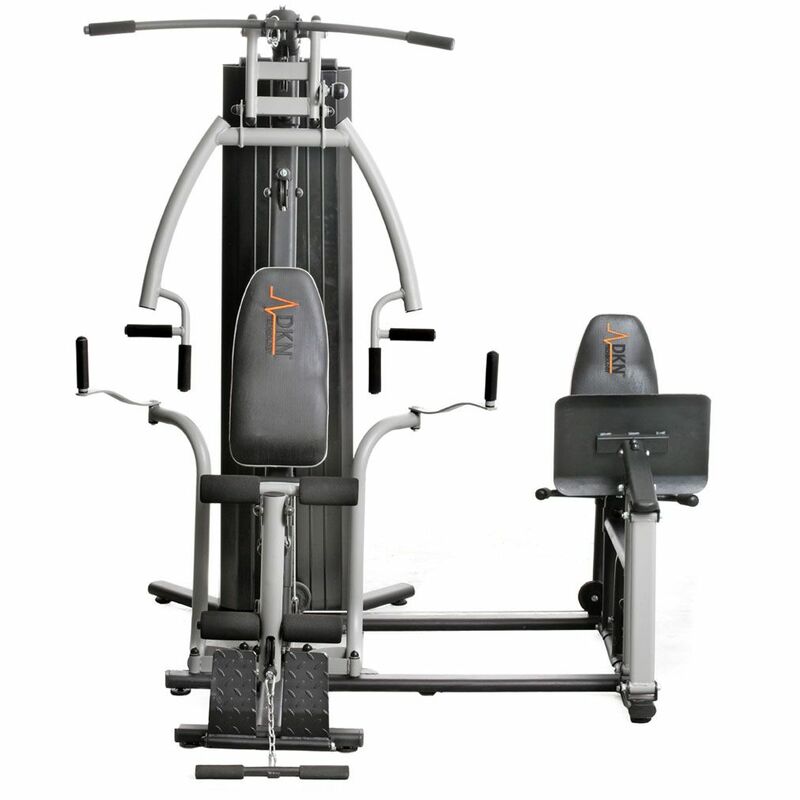 for submitting product information about DKN Studio 9000 Multi Gym with Leg Press. We aim to answer all questions within 2-3 days. If you provided your name and email address, we will email you as soon as the answer is published. What weight does the leg press go up to? The DKN Studio 9000 Multi Gym with Leg Press can load 75 kg in total. 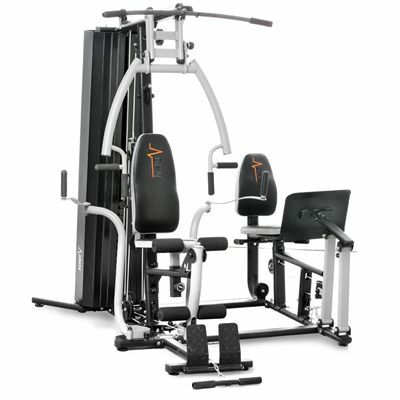 for submitting product review about DKN Studio 9000 Multi Gym with Leg Press.